Hongxia(Sha) Wang is the Founding Partner of Terra Magnum Capital Partners. Ms. Wang is on the Firm's Investment Committee and leads Terra Magnum Capital's investments in buyout, fund investments and direct co-investments. In addition, she oversees investor relations, asset allocation and investment strategy and process. Ms. Wang has over 12 years experience investing in both China and the US' private equity market, with investments including Alibaba's IPO (NYSE:BABA), Homa Appliance (SZE:002688), Berry Genomics (SZE:000710), STA Pharma (NEEQ:832159), Boyu Capital (fund investment) and Fortune VC (fund investment), etc. 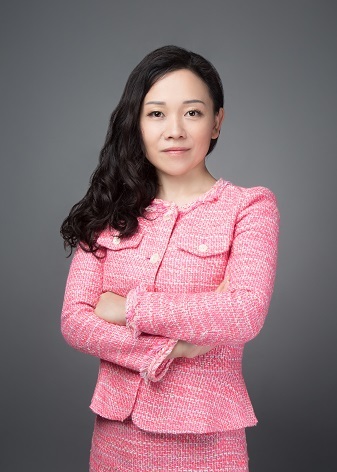 Prior to launching Terra Magnum Capital, Ms. Wang was the head of Shanghai office and then venture partner at Asia Alternatives, one of the first and the leading Asia-dedicated fund-of-funds managing over $9 billion in assets. Ms. Wang was involved with sourcing and monitoring Asia Alternatives' investments, as well as help managing Asia Alternatives' relationships with its investors and contributed in its fundraising activities. Previously, Ms. Wang was a Principal at Cybernaut Investment Group, a China and US-focused private equity and venture capital fund with assets under management exceeding $15 billion. Prior to 2008, Ms. Wang was a Vice President and Director of China investments at Opus8, a private investment firm in Washington DC, where she was primarily responsible for the China fund and direct investments in the service sector. Prior to joining Opus8, Ms. Wang was with ING Asia Investment Management in Hong Kong, focusing on QFII/QDII issues at China Merchant Fund, a joint venture between ING and China Merchant Bank. Ms. Wang received her executive MBA from the People's Bank of China School of Finance at Tsinghua University (Top EMBA program in China and formerly the graduate school of China's central bank, which had already been an intellectual home to some of Asia's finest financial minds), holds a Ph.D. in Electrical Engineering from the University of Maryland, College Park as well as a Bachelor degree in Telecommunications from Xidian University, China. Ms. Wang currently serves as the secretary-general of the Private Equity and Buyout Funds Committee at the Asset Management Association of China (the regulatory association of all fund management companies, appointed by China Securities Regulatory Commission), as well as the program mentor at Cornell-Tsinghua MBA/FMBA.